You will be then be prompted with the options window below. 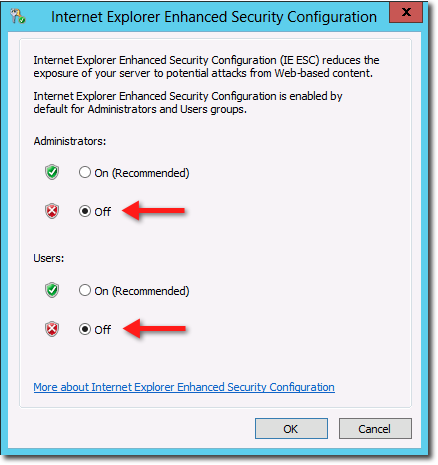 You can turn off the IE ESC to both Administrators and Users. 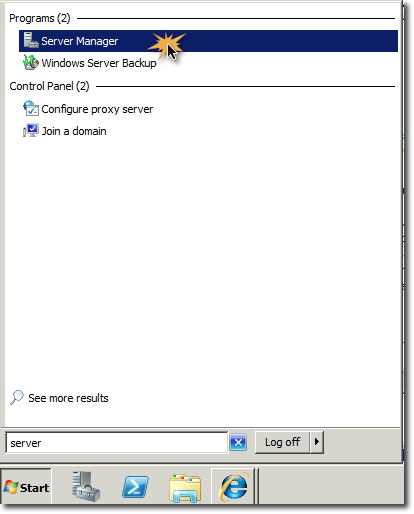 After following these steps, close all Internet Explorer instances and then relaunch. 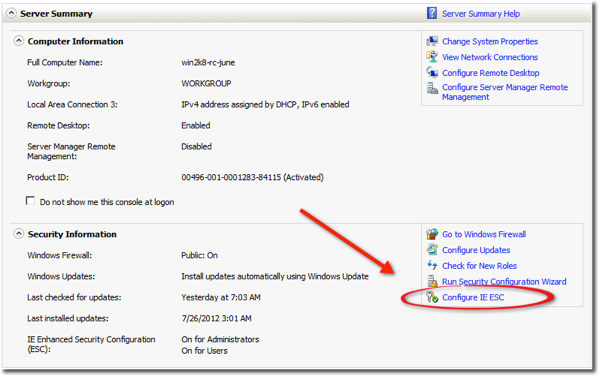 You will now be able to go to websites within your Windows Server 2012 without the IE ESC message. 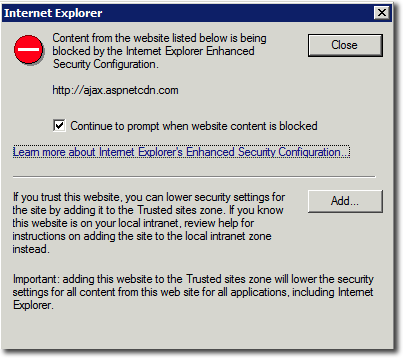 Microsoft Internet Explorer’s Enhanced Security Configuration is currently enabled on your server. 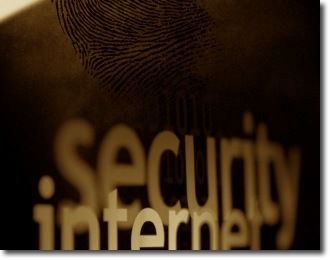 This enhanced level of security reduces the risk of attack from Web-based content that is not secure, but it may also prevent Web sites from displaying correctly and restrict access to network resources. 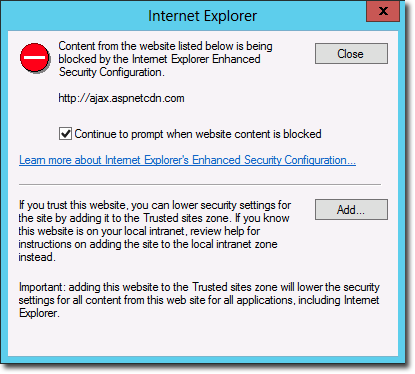 How to Disable Internet Explorer Enhanced Security Configuration on Windows 2008. You will be prompted with the options window below. 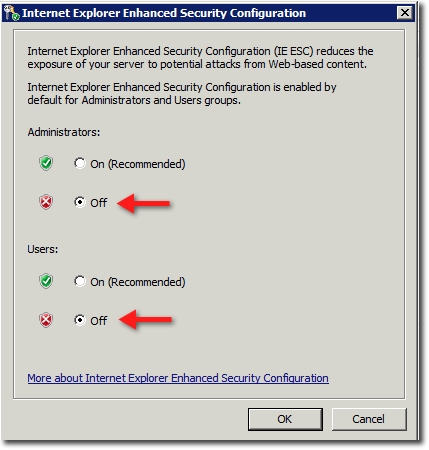 You can turn off the IE ESC to both Administrators and Users. After following these steps, close all Internet Explorer instances and then relaunch. 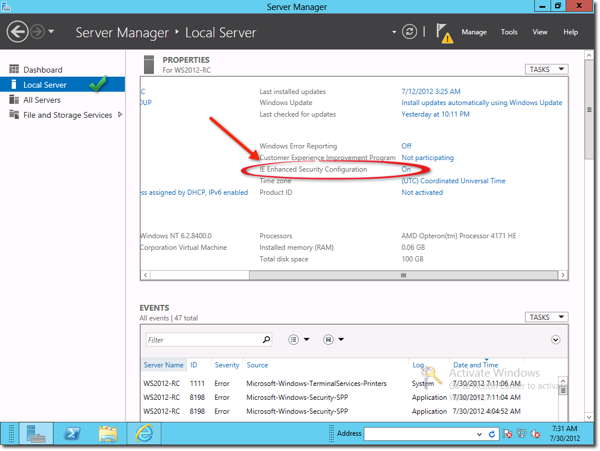 You will now be able to go to websites within your Windows server without the IE ESC message.